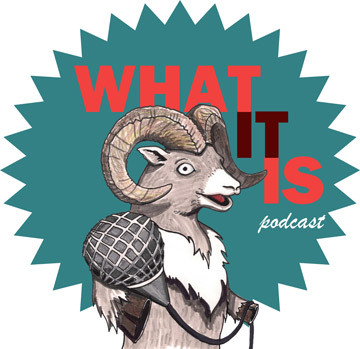 The What It Is Podcast is what it is. Which is…an Edmonton and Alberta based arts interview show where anything can happen and will. Candid, fun, insightful and spontaneous – the show offers an intimate look at the lives of Edmonton and Alberta’s artists. Regardless of the topic, skill of our host or level of maturity on a bi-weekly basis (every Friday), it is What It Is. Produced by Taylor Chadwick, Brian Bergum and Chris W. Cook. What It Is was the recipient of the John Poole Promotion of the Arts Award at the 2016 Mayor’s Celebration of the Arts. Available on iTunes, Google Play, Stitcher and wherever you like to listen to podcasts.